a See WGIAR4 Table 3.7 for further details regarding definitions. b Warming of the most extreme days and nights each year. c Extreme high sea level depends on average sea level and on regional weather systems. It is defined as the highest 1% of hourly values of observed sea level at a station for a given reference period. d In all scenarios, the projected global average sea level at 2100 is higher than in the reference period [WGI AR4 10.6]. The effect of changes in regional weather systems on sea-level extremes has not been assessed. Table TS.5. Examples of possible impacts of climate change due to changes in extreme weather and climate events, based on projections to the mid- to late 21st century. These do not take into account any changes or developments in adaptive capacity. Examples of all entries are to be found in chapters in the full Assessment (see sources). The first two columns of this table (shaded yellow) are taken directly from the Working Group I Fourth Assessment (Table SPM.2). The likelihood estimates in column 2 relate to the phenomena listed in column 1. The direction of trend and likelihood of phenomena are forSRES projections of climate change. appropriate response. An indication of these impacts can be seen in Tables TS.3 andTS.4. Many adaptations can be implemented at low cost, but comprehensive estimates of adaptation costs and benefits are currently lacking. There are a growing number of adaptation cost and benefit-cost estimates at regional and project level for sea-level rise, agriculture, energy demand for heating and cooling, water-resource management, and infrastructure. These studies identify a number of measures that can be implemented at low cost or with high benefit-cost ratios. 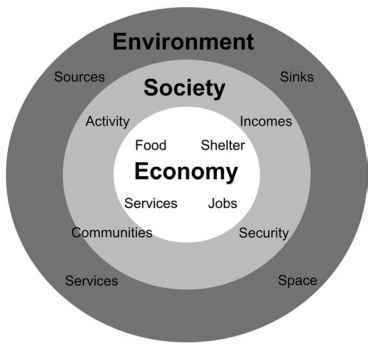 However, some common adaptations may have social and environmental externalities. Adaptations to heatwaves, for example, have involved increased demand for energy-intensive air-conditioning [17.2.3]. Limited estimates are also available for global adaptation costs related to sea-level rise, and energy expenditures for space heating and cooling. Estimates of global adaptation benefits for the agricultural sector are also available, although such literature does not explicitly consider the costs of adaptation. Comprehensive multi-sectoral estimates of global costs and benefits of adaptation are currently lacking [17.2.3]. Adaptive capacity is uneven across and within societies. There are individuals and groups within all societies that have insufficient capacity to adapt to climate change. For example, women in subsistence farming communities are disproportionately burdened with the costs of recovery and coping with drought in southern Africa [17.3.2]. The capacity to adapt is dynamic and influenced by economic and natural resources, social networks, entitlements, institutions and governance, human resources, and technology [17.3.3]. For example, research in the Caribbean on hurricane preparedness shows that appropriate legislation is a necessary prior condition to implementing plans for adaptation to future climate change [17.3]. Multiple stresses related to HIV/AIDS, land degradation, trends in economic globalisation, trade barriers and violent conflict affect exposure to climate risks and the capacity to adapt. For example, farming communities in India are exposed to impacts of import competition and lower prices in addition to climate risks; and marine ecosystems over-exploited by globalised fisheries have been shown to be less resilient to climate variability and change (see Box TS.7) [17.3.3]. High adaptive capacity does not necessarily translate into actions that reduce vulnerability. For example, despite a high capacity to adapt to heat stress through relatively inexpensive adaptations, residents in urban areas in some parts of the world, including in European cities, continue to experience high levels of mortality. One example is the 2003 European heatwave-related deaths. Another example is Hurricane Katrina, which hit the Gulf of Mexico Coast and New Orleans in 2005 and caused the deaths of more than 1,000 people, together with very high economic and social costs [17.4.2]. The array of potential adaptive responses available to human societies is very large (see Table TS.6), ranging from purely technological (e.g., sea defences), through behavioural (e.g., altered food and recreational choices), to managerial (e.g., altered farm practices) and to policy (e.g., planning regulations). While most technologies and strategies are known and developed in some countries, the assessed literature does not indicate how effective various options are at fully reducing risks, particularly at higher levels of warming and related impacts, and for vulnerable groups. Although many early impacts of climate change can be effectively addressed through adaptation, the options for successful adaptation diminish and the associated costs increase with increasing climate change. At present we do not have a clear picture of the limits to adaptation, or the cost, partly because effective adaptation measures are highly dependent on specific geographical and climate risk factors as well as institutional, political and financial constraints [7.6,17.2,17.4]. There are significant barriers to implementing adaptation. These include both the inability of natural systems to adapt to the rate and magnitude of climate change, as well as formidable environmental, economic, informational, social, attitudinal and behavioural constraints. There are also significant knowledge gaps for adaptation as well as impediments to flows of knowledge and information relevant for adaptation decisions [17.4.1, 17.4.2]. For developing countries, availability of resources and building adaptive capacity are particularly important [see Sections 5 and 6 in Chapters 3 to 16; also 17.2, 17.4]. Some examples and reasons are given below. a. The large number and expansion of potentially hazardous glacial lakes due to rising temperatures in the Himalayas. These far exceed the capacity of countries in the region to manage such risks. b. If climate change is faster than is anticipated, many developing countries simply cannot cope with more frequent/intense occurrence of extreme weather events, as this will drain resources budgeted for other purposes. c. Climate change will occur in the life cycle of many infrastructure projects (coastal dykes, bridges, sea ports, etc.). Strengthening of these infrastructures based on new design criteria may take decades to implement. In many cases, retrofitting would not be possible. d. Due to physical constraints, adaptation measures cannot be implemented in many estuaries and delta areas. New planning processes are attempting to overcome these barriers at local, regional and national levels in both developing and developed countries. For example, Least Developed Countries are developing National Adaptation Plans of Action (NAPA) and some developed countries have established national adaptation policy frameworks [17.4.1].